Gripes: What’s Not To Like? 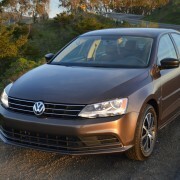 If there’s a better buy in the compact sedan marketplace than VW’s turbocharged Jetta, I have yet to find it. The new 1.4 liter four cylinder turbo becomes the base model engine for 2016, replacing the 2.0 liter straight four of previous years. 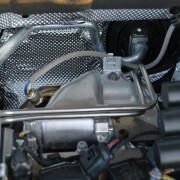 The new engine produces 150 hp and 184 lb.-ft. of torque. 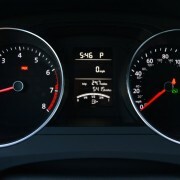 These numbers compare very favorably with the discontinued base motor, which made just 115 hp. 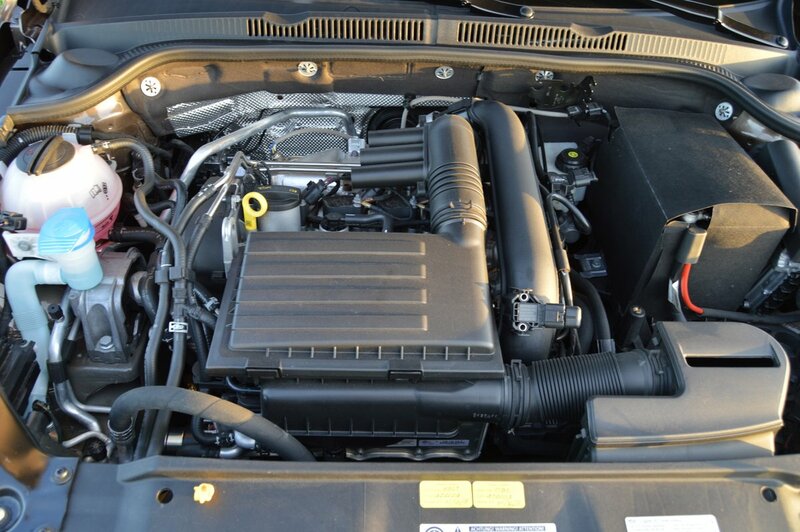 Although you can still option up your Jetta to GLI specification with a 2.0 liter turbo producing 210hp, the 1.4 turbo is such a gem of an engine that you have little incentive to do so. 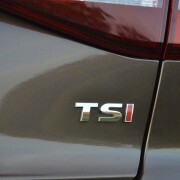 It produces all of its torque as soon as you level the throttle. There’s absolutely no turbo lag, and the standard 6 speed automatic hooks up power so quickly that there’s no need to shift gears yourself. 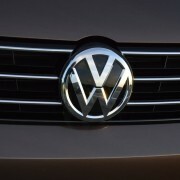 However, VW does afford you the opportunity of prolonging up changes and performing earlier down changes by utilizing the “S” (for Sport Drive) quadrant of the gearbox. 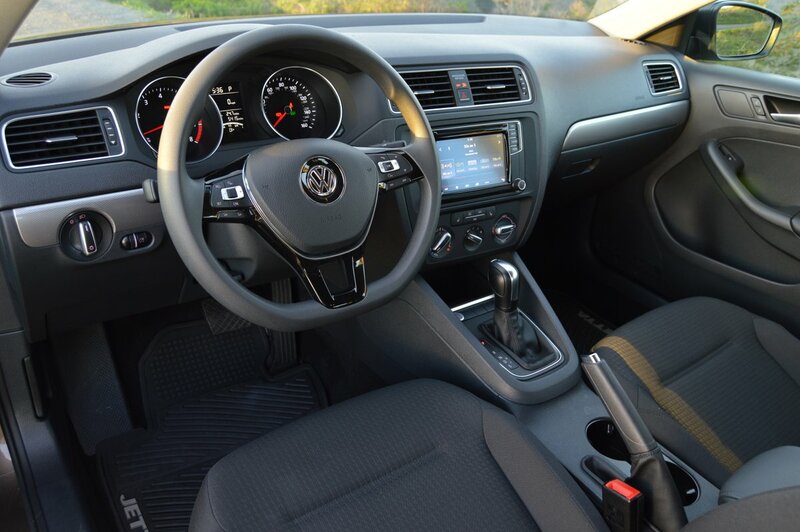 There’s even a full manual mode, should you so desire, which VW dubs “Tiptronic,” that allows full manual gear ratio selection with the console mounted stick. Paddles, however, are absent. 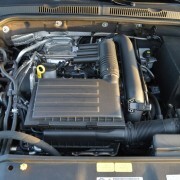 The 1.4 liter turbo Jetta, which is built in VW’s Mexican factory, achieves a remarkable 39 MPG on the highway. In a full week of sustained driving around town, we barely dropped the fuel level gauge below the half tank mark. 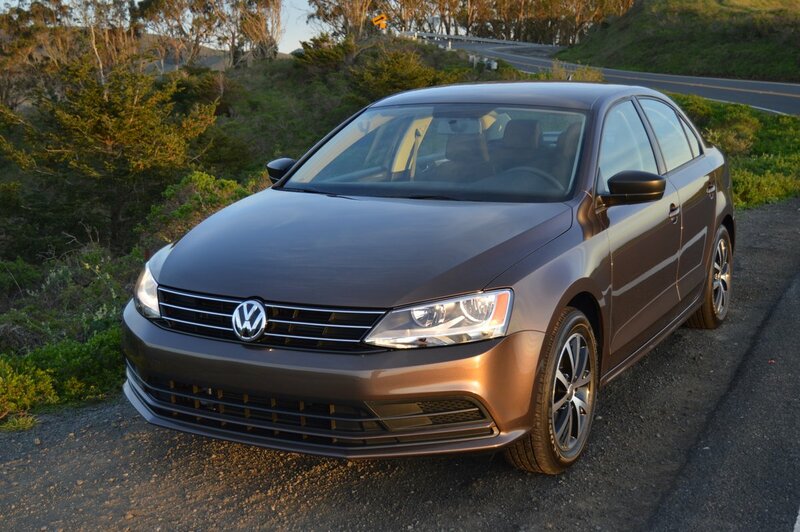 With a capacity of 14.5 gallons, including a reserve of 2 gallons, the range of the Jetta 1.4T on the open road stands at a stunning 565 miles. While the interior of the Jetta is not luxurious, neither is it plebeian. The seating surfaces are cloth, with bolsters done in a sturdy woven material, and inserts finished in high sheen, triangle patterned brocade. The front seats are heated, a bonus you don’t expect to find on a $20,000 car. 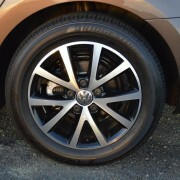 Another nicety is the presence of a full size spare tire stored beneath the floor of the Jetta’s sizeable 16 cubic foot trunk. The roof of the trunk also provides pull releases to lower both folding back seats. There’s even a couple of tools included in the tire change kit. That’s more than BMW gives you in the $84,000 6 Series Gran Coupe. Inside the cabin, industrial grade, ribbed rubber floor mats are more practical than beautiful. Likewise, expanses of pebbled black vinyl that cover the dash, flat bottom steering wheel, and center console are serviceable rather than charming. 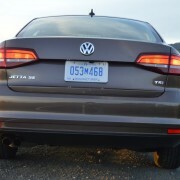 But the Jetta offers undeniable practicality, from its exposed engine components under the hood to its easily accessible engine compartment battery location. Where other manufacturers strive to hide the location of the all important battery under the seat or in the trunk, VW is literally up front about the location of this important piece of equipment. Likewise, the interior designers are honest about the design and use of all HVAC (Heat/Ventilation/Air Conditioning) controls. 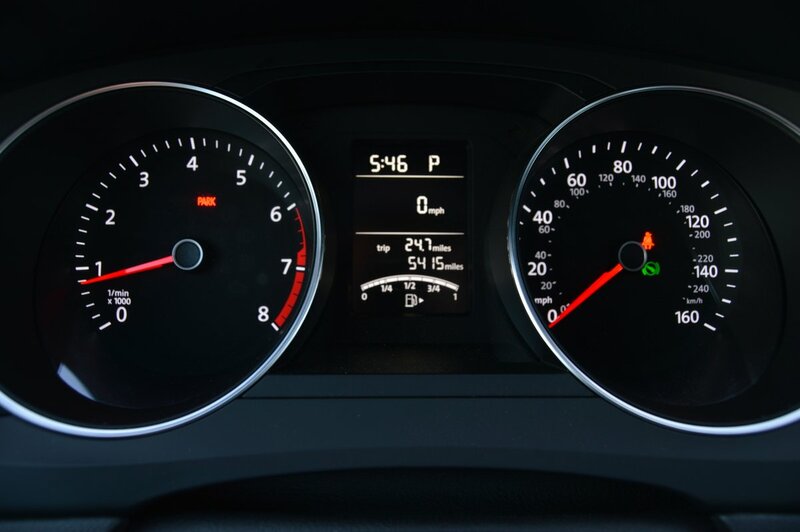 On the center stack of the Jetta, you’ll find three large, simple dials. The left one controls temperature, the center operates fan speed, and the right one changes airflow position. This tried and tested system has evolved over years of automotive practice. It remains the best of all layouts, superior in every way to the current trend to bury HVAC options within layers of digital menus. You will never have an accident in this Jetta while searching hard-to-decipher menus, because VW refuses to succumb to the idiocy of such needless complication. 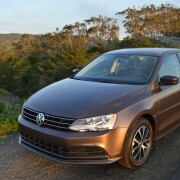 Driving the least expensive Jetta turbo is a joy. Although its diminutive Bridgestone Ecopia tires may not look the part of performance rubber – with a width of just 205/45R16 – they definitely get the job done on twisty back roads. 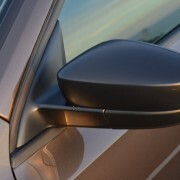 The Jetta SE strikes an intriguing balance between ride softness and buttoned down control. The key to the rarely achieved combo is perfectly calibrated shock absorber valving. 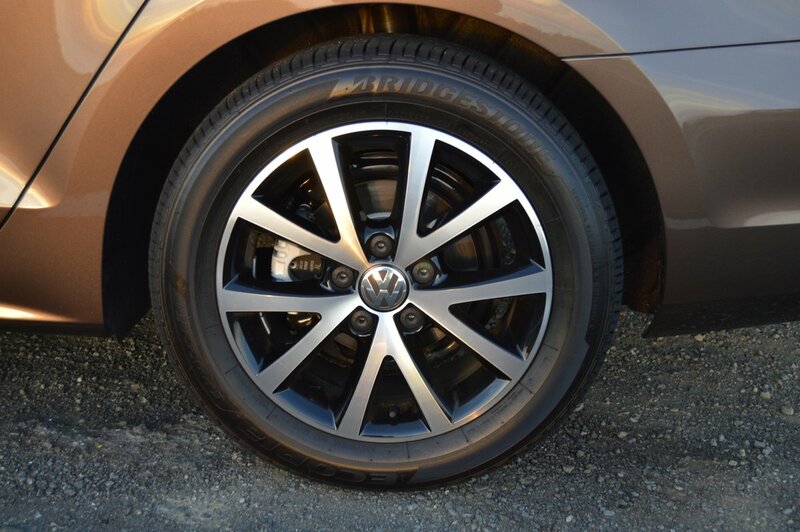 When you accelerate this Jetta over pavement height changes, the snubbing of the shocks instantly compensates for pitch change. There’s absolutely no follow-on wallowing so typical of sedan’s with comfort biased suspensions. 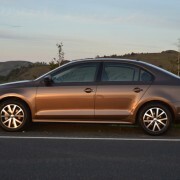 On snaky back roads, the Jetta SE is all business, but on pock-marked freeways, it’s all about comfort. 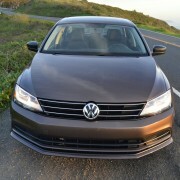 The Jetta for 2016 constantly surprises you with amenities you would never expect to discover on a $20,000 car: electric window lifts with automatic up and down, heated front seats, push button start and stop, and standard 6 speed transmission containing real gears rather than funky CVT belts. 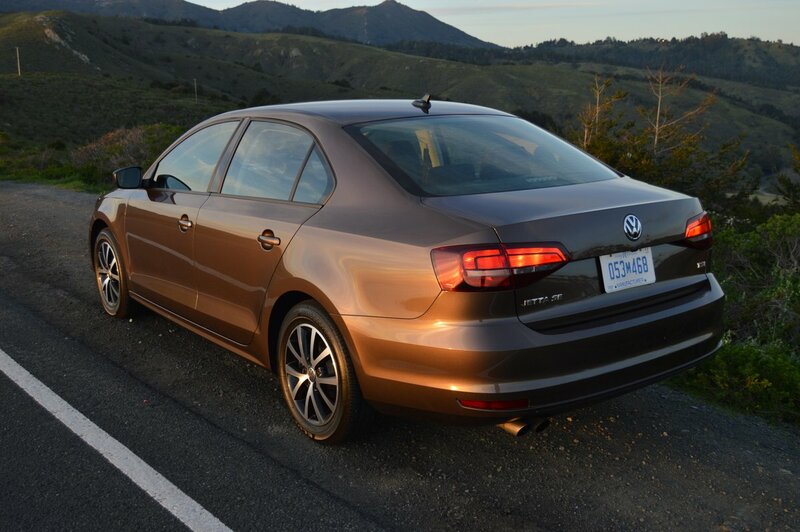 If you’re searching the sports sedan market for an ultra high mile-per-gallon candidate that’s still fun to drive, the eminently affordable 1.4 liter Jetta SE turbo is your number one choice.